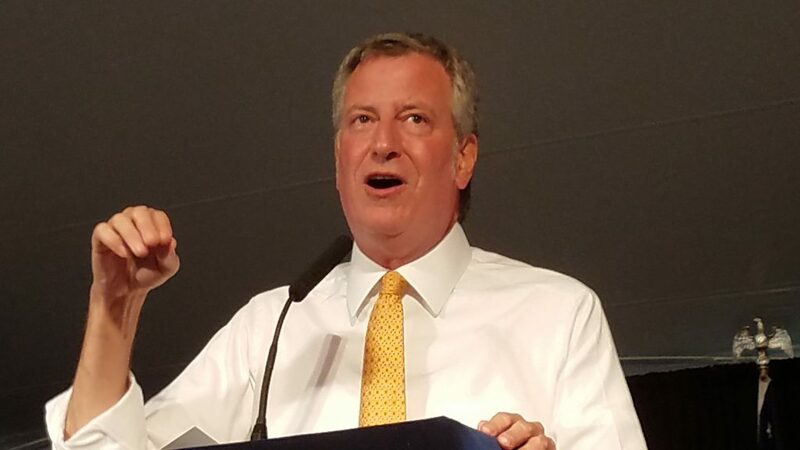 Harlem-based politicians, restaurateurs, publishers, and socialites flocked to the home of the New York City Mayor Bill de Blasio and his wife Chirlane McCray for a reception entitled “Harlem: Home of Immigrants: Honoring New York’s International Diversity” at Gracie Mansion last week. A beautiful summer day and an indoor/outdoor venue along with a Cuban band greeted guests upon entrance, as well as passed hors d’oeuvres from various Harlem restaurants. Patrons sipped on a variety of different wine and beer, as well as a signature cocktail, with a water station and plenty of non-alcoholic drinks on hand for the occasion. The Greater Chamber of Commerce President and Chief Executive Officer Lloyd A. Williams took the stage to hand out several awards, and later to introduce the First Lady of the City of New York McCray, who had poignant words to say to the gathered Harlemites about how some of its history makers inspired her. Mayor de Blasio said “Harlem does not need another name. 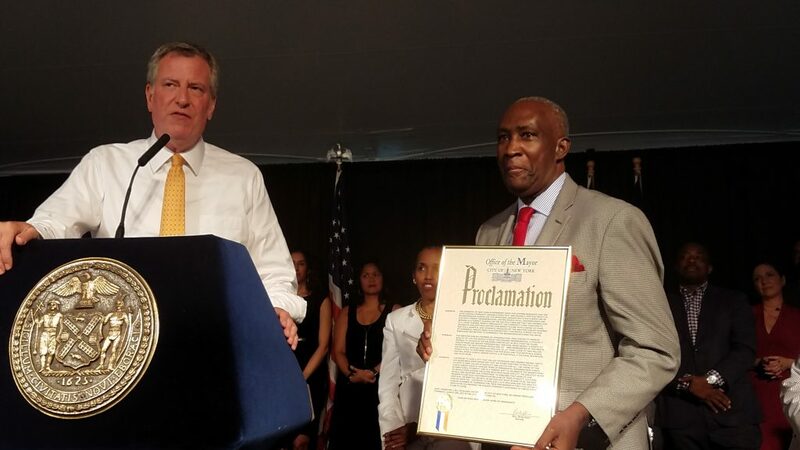 Harlem is a name steeped in history and culture and greatness and if you don’t understand that you shouldn’t be selling property in Harlem.” The Mayor then presented Williams with a proclamation for Harlem Week 2017. Among the notables on hand for the event were “the lion of Harlem” former member of the House of Representatives Charles Rangel, restaurateurs Melba Wilson of Melba’s and Norma Jean Darden of Miss Mamie’s Spoonbread Too, Emmy-award winning anchor Vanessa Tyler, award recipient, anchor and author Cheryl Wills, and musician Paul Shaffer.